It's no secret that the US has an inequality problem . But it is striking to see it compared with other developed economies. In a recent note to clients, Goldman Sachs' Sumana Manohar and Hugo Scott-Gall shared a chart comparing a given country's gross domestic product per capita to its Gini coefficient. The Gini coefficient is a measurement of the income distribution within a country that aims to show the gap between the rich and the poor. The number ranges from zero to one, with zero representing perfect equality and one representing perfect inequality. 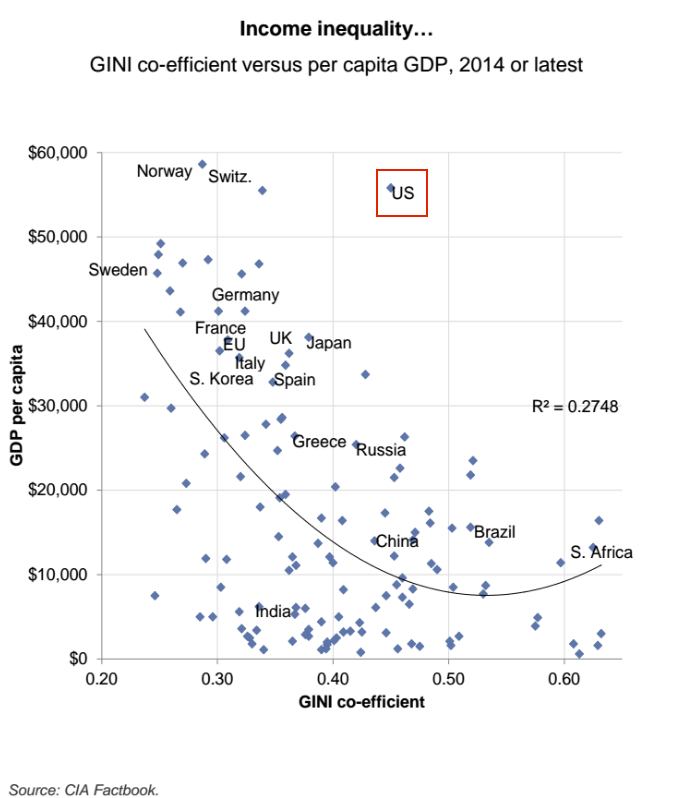 So a higher Gini coefficient means greater inequality. In the chart below, developed-market economies such as those in Germany, France, and Sweden tend to have a higher GDP per capita and lower Gini coefficients. On the flip side, emerging-market economies in countries like Russia, Brazil, and South Africa tend to have a lower GDP per capita but a higher Gini coefficient. The US, however, is a big outlier. Its GDP per capita is on par with developed Northern European countries like Switzerland and Norway, but its Gini coefficient is in the same tier as Russia's and China's. 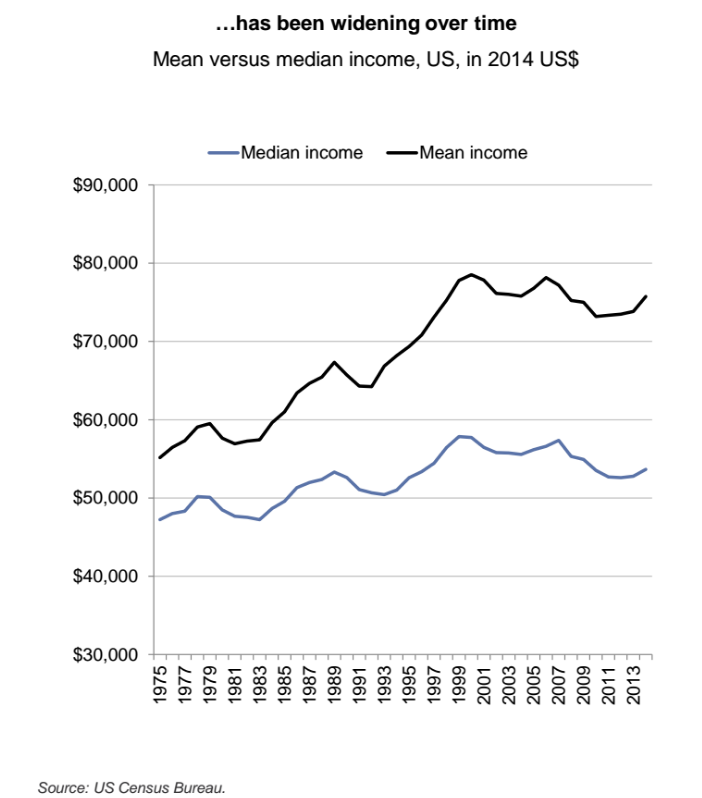 The Goldman duo also shared a chart comparing the mean and median incomes in the US from 1975 to 2014. This is another informal measure of inequality: A handful of hyperaffluent people can skew a mean upward while not changing the median very much. That means a higher degree of inequality will most likely be reflected in a bigger spread between a mean and median income. As you can see below, the gap between the two has been widening over time, which suggests that income inequality has been growing.